As we’re going to be hosting the ebullient Alastair Caldwell on next week’s edition of The Racer’s Edge, I thought I’d include this neg scan of AC in conference with the Goodyear brass (specifically Leo Mehl, left) and Lee Gaug (right). 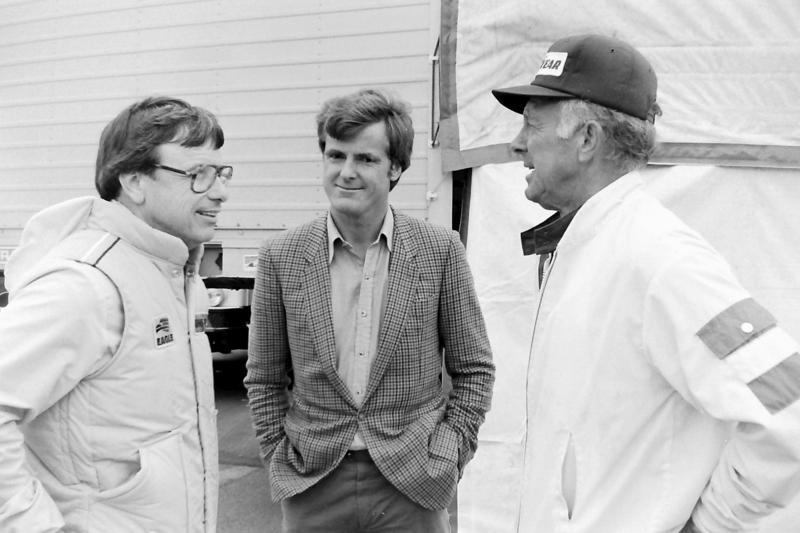 Leo always made me smile; he had this knack of always being able to mix racing politics with a true grasp of real life. And, through Leo, I discovered one of my favourite authors – Herman Wouk. “What’s that tome you’re reading?” I asked Leo once, at some airport. “War and Remembrance,” he replied. “It’s got just enough fiction to make it sizzle and more than enough history to be real. Can’t put it down.” How right he was. Lee was also a player. A pipe-smoker and an ex-marine who flew Brewster Buffalos from flat-tops, Lee always used to joke about his wives: “They’re all homekeepers. They’ve kept every one I ever owned…” Alastair, meanwhile…well…you can find out for yourselves what makes Mr Caldwell tick on next week’s show. I don’t think you’ll be disappointed. For good measure, here’s another AC shot. This time we’re taking part in the annual Grosse Pointe sailing regatta that preceded the Detroit Grand Prix every year. 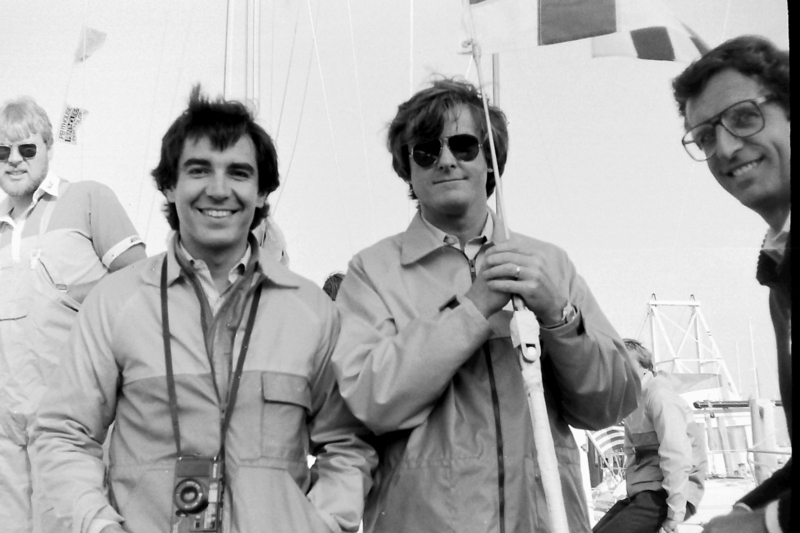 That’s the largely under-rated and multi-talented (F1, Indy, WRC) Chilean driver, Eliseo Salazar, on Al’s right and on his left is Dieter Stappert, who for many years wrote for the magazine with the greatest of all titles – Powerslide. Dieter was always impressive, I think: small note book in his hip pocket, nice pen, astute questions. He later worked for BMW. 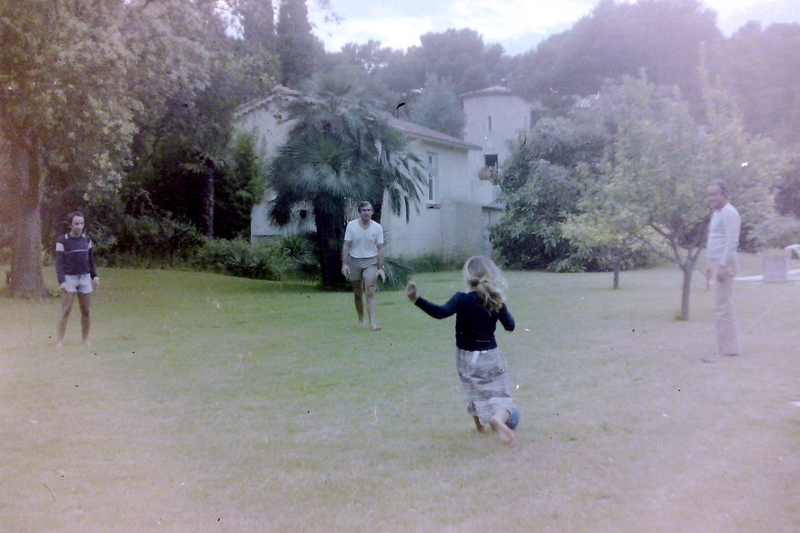 Now let’s drop in on Mario Andretti, wearing one of his favourite t-shirts as he talks set-up and engine revs, and, below, on the Reutemann family and friends, seen here enjoying an early-evening game of soccer in the back yard of Carlos’ home on the Circuit Cap Ferrat, South of France. That’s Cora Reutemann, who would in time become a first-rate photographer, looking as though she’s about to score a goal. Jose-Maria Candiotti, one of Carlos’ mates – and tennis doubles partner – from Carlos’ home town of Santa Fe, is on the right. 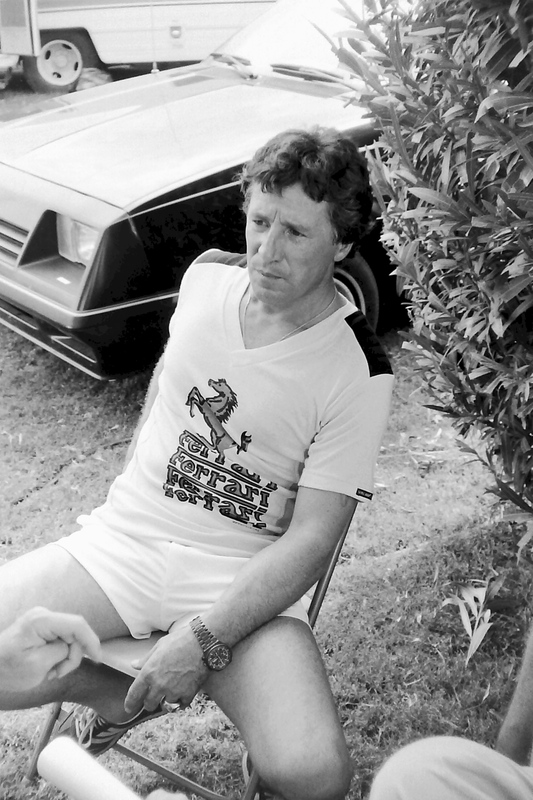 I used to stay at Carlos’ place before the Monaco GP – and sometimes before the French GP, too. Finally, below, here’s Ayrton Senna, sipping a Segafredo coffee while he talks safety with Rafael Grajales-Robles, the very talented Panamanian heart surgeon. 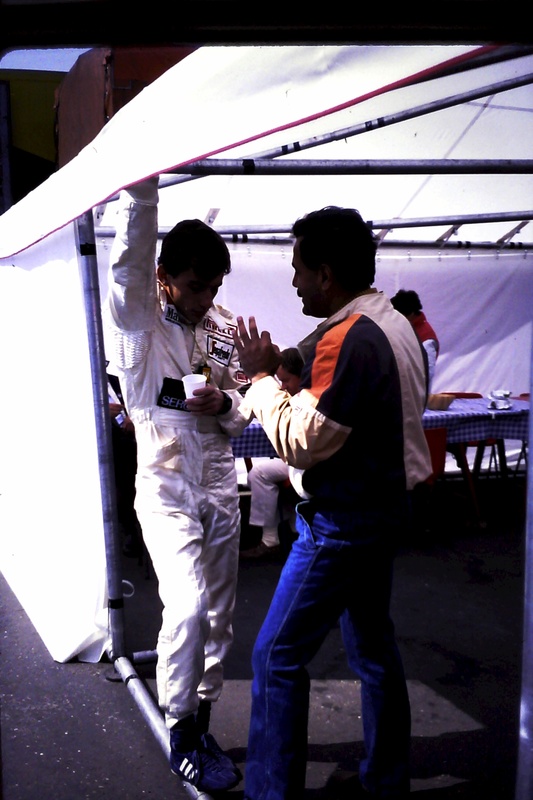 Rafael was a personal F1 doctor to drivers like Emerson Fittipaldi, Carlos Reutemann and Nelson Piquet long before Syd Watkins arrived on the scene and was the first medic of importance to ensure that helicopters were in place before practice sessions began, or that marshals’ posts were properly equipped with medical equipment at regular intervals. As such, he wasn ‘t flavour-of-the-month amongst the F1 power brokers for very long, as you can imagine. As the politics of the 1980s grew in intensity, Rafael – and his stringent safety demands – were inevitably shuffled sideways. He nonetheless remained close to drivers like Ayrton, and Nigel Mansell, for several years thereafter. Lovely post and pictures, thanks for sharing Peter! Lot of memories, Carlos, Rafael , Leo, Mario… thanks Peter for sharing! Thanks Mark. Plenty more to come…just need to do some more scanning! Interesting photos trigger reminiscing of past times and very interesting people. Always glad to see or hear of the splendid Goodyear men Leo Mehl and Lee Gaug. On the other hand I can recall a Sunday Times’ article in which dr. Grajales-Robles was quite flagrantly tipped to be a dope monger in F1. I think it was sort of a bad joke. Yes, shame on the Sunday Times journalist – and the political heavyweights behind him – who wrote that stuff. Rafa was a superb doctor, as many of the great F1 drivers obviously new. 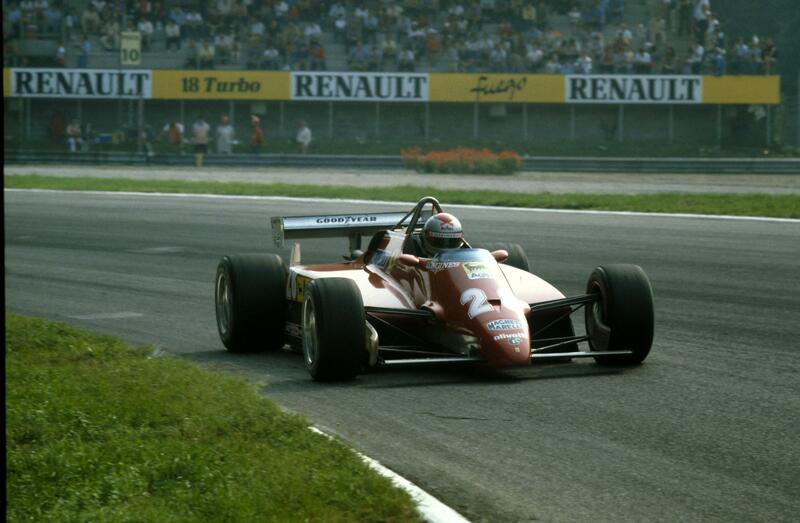 His problem was that he was the first – in the cause of safety – to seriously agitate the F1 political status quo. Great stuff in the flashbacks. Keep them coming when you find the time. Got any pics of 70s f1 bases? Ive seen em all except fittipaldi in slough, bs fabrications luton &team rebaque.On the subject of the last2, did Bob Sparshott purchase a Mclaren, then look for a driver, or did Lunger own the car, asking Bob to run it? 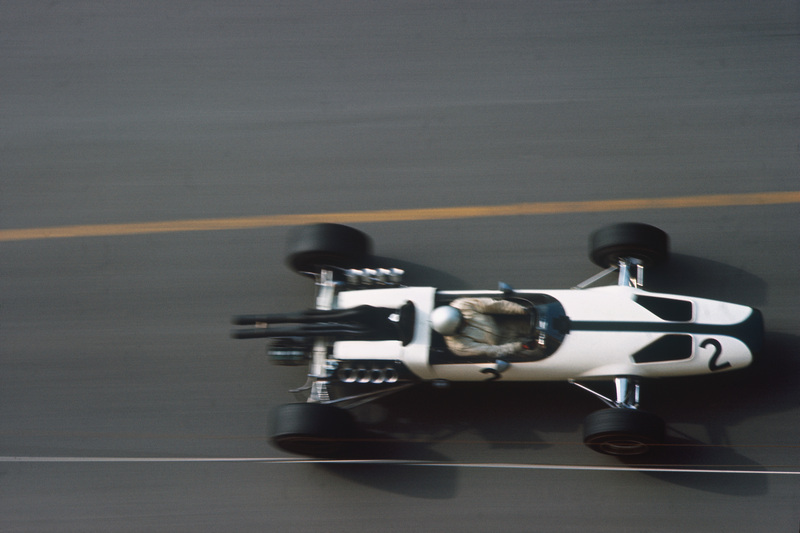 Same query for rebaque racing, did hector own the car & ask (IanDawson???) to run it? 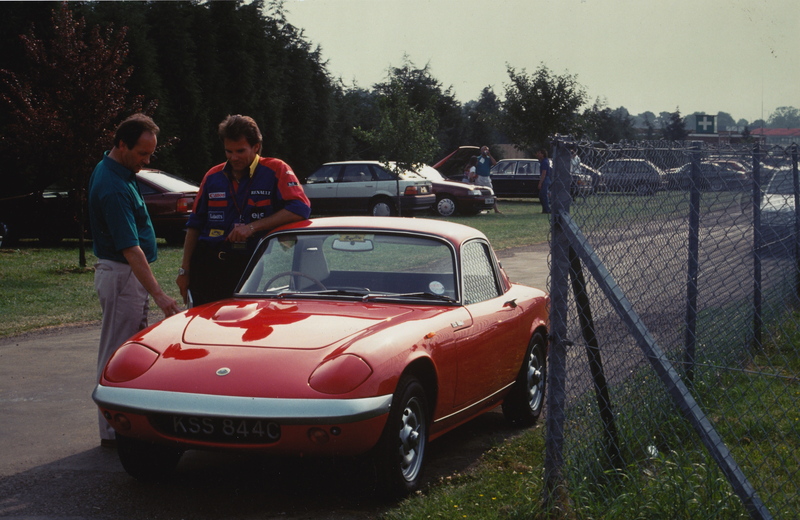 Im pretty sure they were based nearWarwick.I briefly worked at Williams in the winter of ’79, so to see some interior pics of the factory would be great, keep up the excellent work.